In March 2015, between the 3rd and the 9th, join our free social media event taking place at each Full Moon – via #EAv – and give a boost to your social networking! Image by Distant Hill Gardens on Flickr. In March, the temperature typically started to warm up. The ground begins to thaw and earthworms begin to appear ; it’s easy to see how native Americans got the name for this full moon. It’s this time of year when the crows begin to appear as well, which is why another popular name for the March full moon is the full Crow Moon. This is also known as the Sap Moon, as it marks the time when maple sap begins to flow and the annual tapping of maple trees begins. To the European settlers, this moon was also known as the the Lenten Moon and was considered to be the last full moon of winter. The event will start on Tuesday the 3rd of March 2015 at 19:00 UTC and will last until Monday the 9th in HERE. May 2014 initial SoMe event was followed by the strawberry, the buck, the sturgeon, the harvest, the hunter, the beaver, the cold, the wolf and the full snow moons. In the Empire Avenue EAv Gangstas community, you can still access all the conversation threads. In February 2015, between the 3rd and the 9th, join our free social media event taking place at each Full Moon – via #EAv – and give a boost to your social networking! In February 2015, between the 3rd and the 9th, join our free social media event taking place at each Full Moon – via #EAv – and give a boost to your social networking! Image by Petr Tomasek on Flickr. 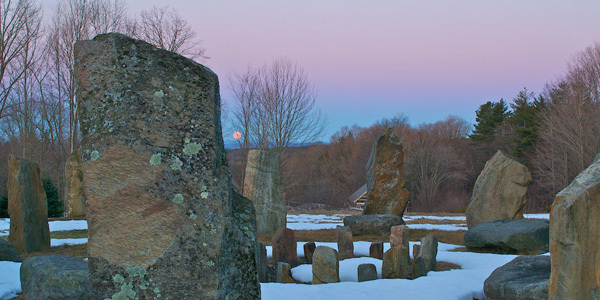 February is traditionally the month with the most snow ; it’s easy to see how native Americans got the name for this full moon. February’s full moon is sometimes called full hunger moon because when the snow was high, it was very hard to hunt and find food. May 2014 initial SoMe event was followed by the strawberry, the buck, the sturgeon, the harvest, the hunter, the beaver, the cold and the wolf full moons. In the Empire Avenue EAv Gangstas community, you can still access all the conversation threads. This January 2015, between the 3rd and the 6th, join our free social media event taking place at each Full Moon – via #EAv – and give a boost to your social networking! January’s full moon got its name from the fact that during January the wolf packs howled hungrily outside of native American villages in the cold and deep snows. The January full moon name was sometimes the Old Moon. The event will start on Saturday the 3rd of January 2015 at 12:00 UTC and will last until Tuesday the 6th in HERE. What about the previous 2014 events? May 2014 initial SoMe event was followed by the strawberry, the buck, the sturgeon, the harvest, the hunter, the beaver and the cold moons. In the Empire Avenue EAv Gangstas community, you can still access all the conversation threads. #FullMoonEngageMe N°8 The Cold Moon – EAv thread. #FullMoonEngageMe N°7 The Beaver’s Moon – EAv thread. #FullMoonEngageMe N°6 The Hunter’s Moon – EAv thread. #FullMoonEngageMe N°5 The Harvest Moon – EAv thread. #FullMoonEngageMe N°4 The Sturgeon Moon – EAv thread. #FullMoonEngageMe N°3 The Buck Moon – EAv thread. #FullMoonEngageMe N°2 The Strawberry Moon – EAv thread. #FullMoonEngageMe N°1 Announcement – EAv thread.